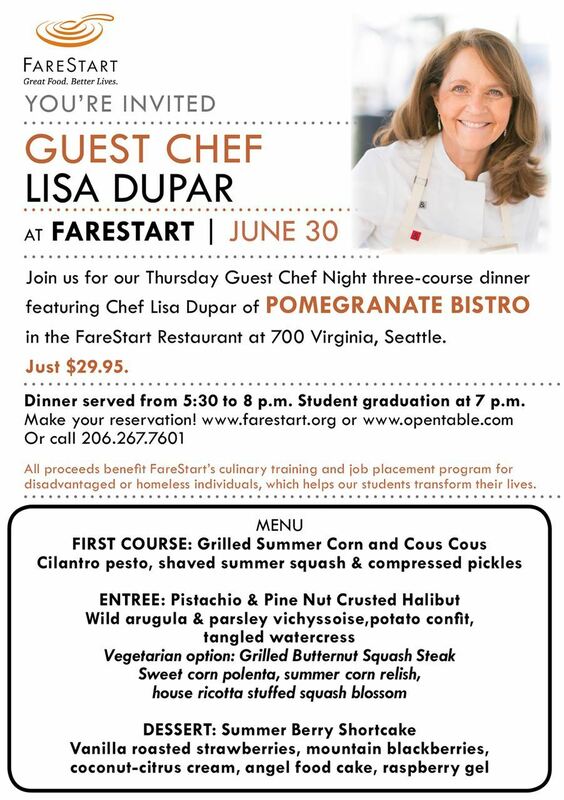 The Community Outreach Committee is thrilled to share that Lisa Dupar will be the Guest Chef at Farestart on Thursday, June 30th. At this point we have all the volunteers needed to work the event. What we need is your help getting the word out and for one and all to make a reservation to what we hope will be a sold out evening! What a delicious opportunity to Transform Lives! Thank you from your Community Outreach Committee!